How does in-depth understanding of difficult-to-sequence regions enable improved patient outcomes? Leaps in DNA sequencing technologies and in our ability to understand and interpret genomic sequences have advanced diagnostics of rare hereditary disorders. However, there are still many regions in the genome that harbor clinically important variants but are not covered with standard next generation sequencing (NGS) strategies or Sanger sequencing. These regions include genes that have pseudogenes or other highly homologous genomic regions or consist of longer stretches of repetitive sequences. This educational webinar provides participants insight to the most recent advancements in the area of difficult-to-sequence regions and especially, improved diagnostics of X-linked retinitis pigmentosa and spinal muscular atrophy. In this webinar we will share our approach of customized bioinformatic and sequencing solutions. 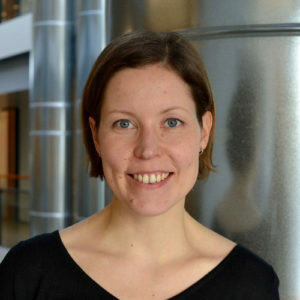 Johanna Sistonen got her PhD from the University of Helsinki in personalized medicine, and did her post-doctoral training in the University of British Columbia, Vancouver, Canada. She has worked as a research group leader in the University Hospital of Bern, Switzerland. Johanna joined Blueprint Genetics R&D in 2015 and currently she leads the Clinical R&D team.